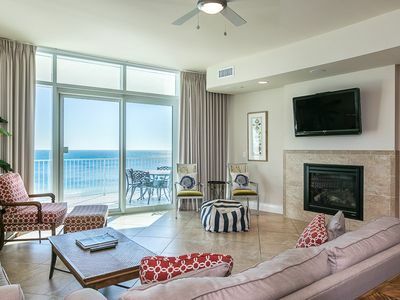 Turquoise Place is the Gulf Coast's Premiere Luxury Property. 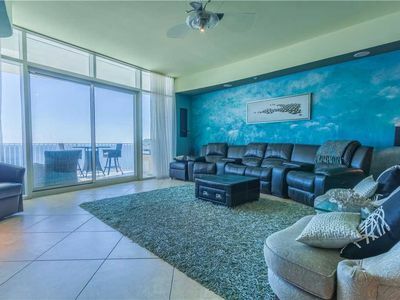 Turquoise Place 1206D is a 3 bedroom, 3.5 bathroom Gulf-front unit with private balcony access from living area and master bedroom. 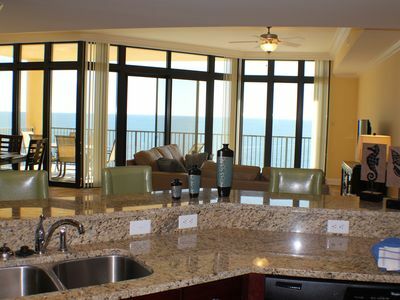 Relax and soak in the amazing view from your private hot tub located on your balcony directly overlooking the Gulf. 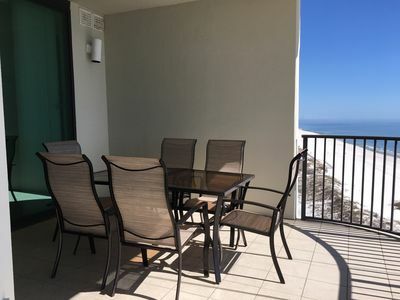 This spacious balcony also is equipped with a gas grill. 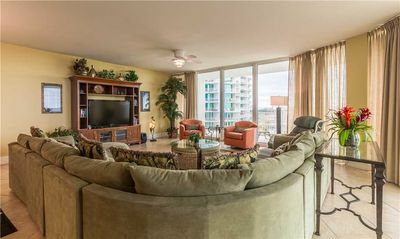 The master bedroom has a king bed and the large master bath is equipped with a Jacuzzi tub and a separate walk-in shower. 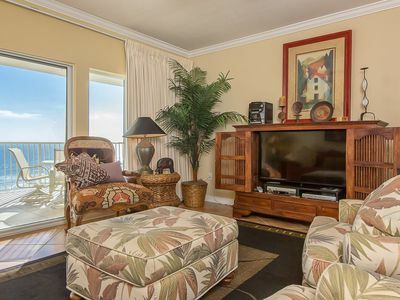 The second bedroom has a full size bed, flat screen TV, Blue Ray DVD player and private bath with a Jacuzzi tub. 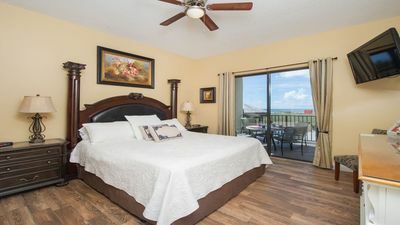 The third bedroom also has a full size bed, flat screen TV, Blue Ray DVD player and private bath with a tiled walk-in shower. 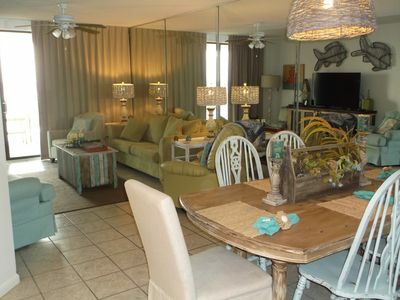 This unit will accommodate up to 6 guests. 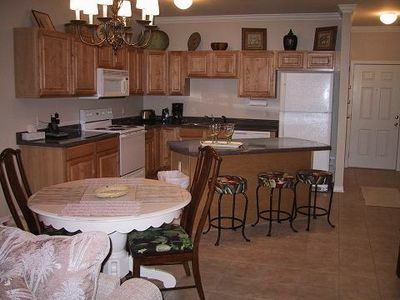 Your fully-equipped kitchen includes granite counter tops, a Sub Zero refrigerator and wine cooler. 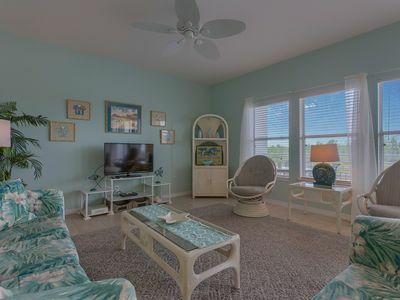 Turquoise Place offers endless amenities that include Free Wi-Fi, indoor and outdoor pools, lazy river, sauna, steam room, 2 indoor hot tubs, tennis courts and an exercise room. 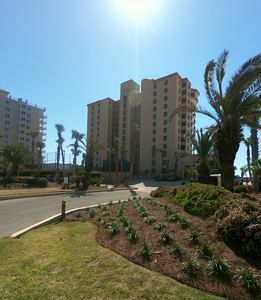 There is a poolside snack bar and on-site spa. 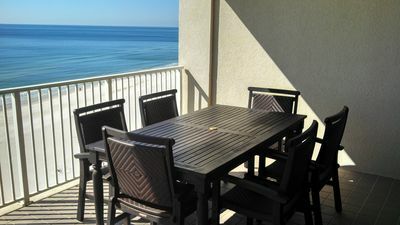 Wireless internet is provided. 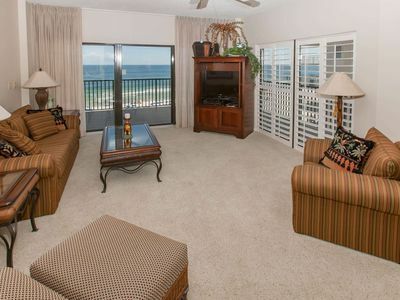 This unit rents Saturday to Saturday in summer and peak seasons. 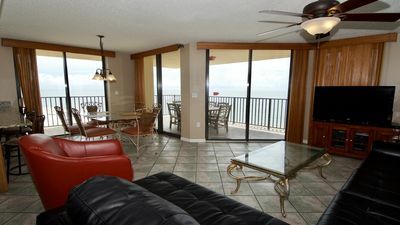 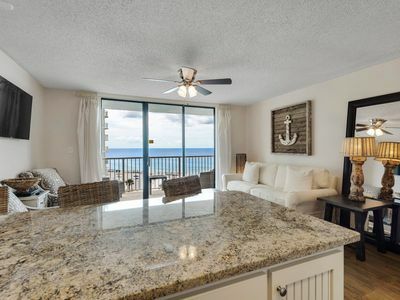 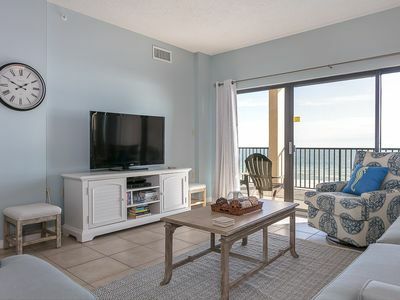 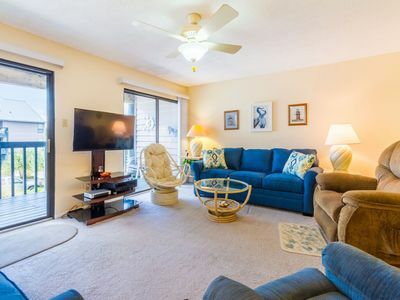 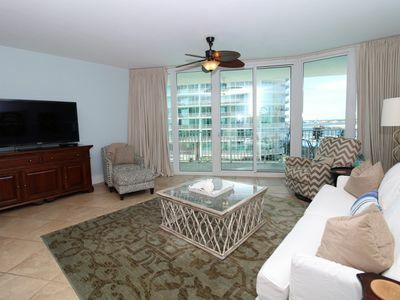 Beautiful 2 BR, 2.5 BA Oceanfront Condo on the 10th Floor! 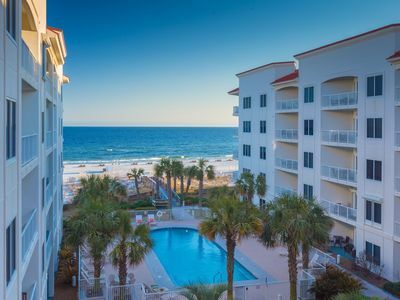 In Walking Distance to the Flora Bama! 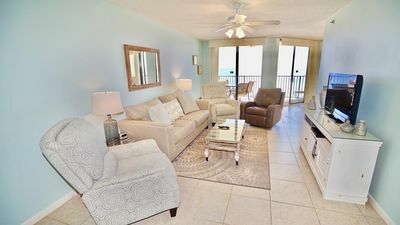 Caribe D301- Bay View w/ Large Terrace, Lazy River + Pool Slides! 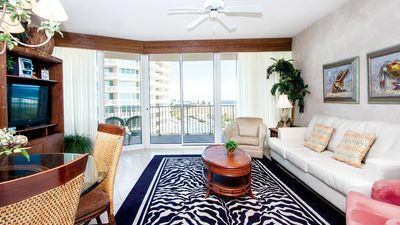 sleeps 10 , slashed rates , book now late summer , hurry huge condo !